Sing alongside members of the Wesleyan Chorale as you prepare a concert of high-quality and entertaining music. 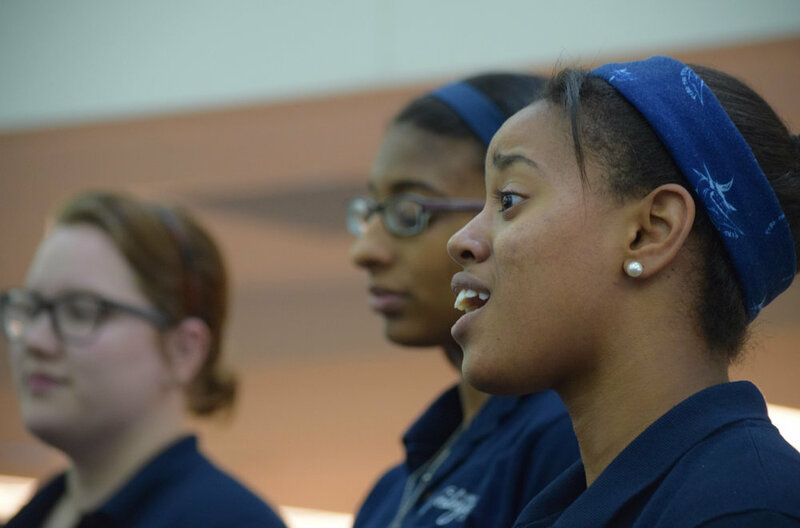 Experience what its like to be a college music student by staying on campus with fellow High School students and participating in fun activities and eating in the Boyd Dining Center. Participate in a Sunday afternoon concert including performances by the Wesleyan Chorale, the Wesleyan Honors Chorus, and selected soloists. In order to be selected for the Chorus, you must be nominated by your teacher and pass an online video audition. Complete the form below to let your teacher know you are interested in auditioning.